Butoh Danse Theatre show! Friday 3d June / Sat 4th | who's that knocking...? 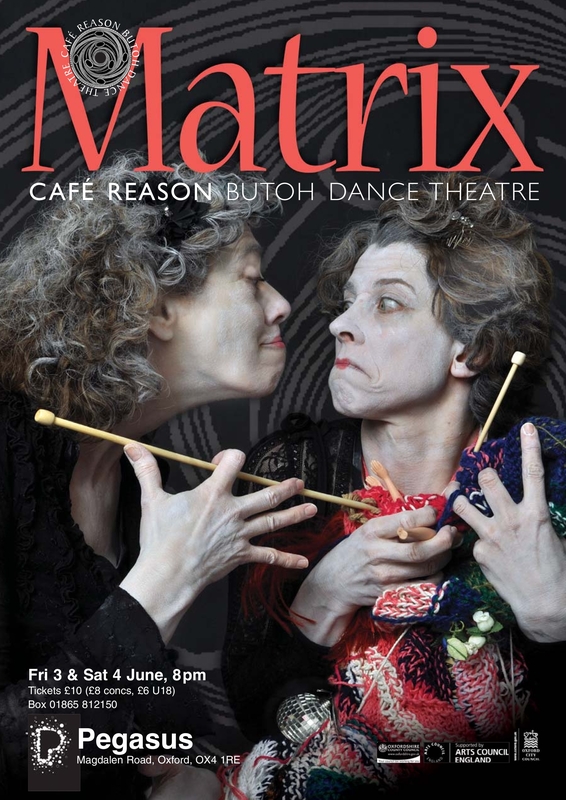 To be enjoyed: an array of spectacular pieces by Cafe Reason Butoh Danse Theatre, at the Pegasus, Magdalen Road Oxford, in a rare theatre production by this innovative ensemble. Music comes in the form of a specially composed soundtrack by Malcolm Atkins and live playing by Pete McPhail (in fine form!) on sax, clarinet, flute etc.. and Bruno Guastalla, cello, bandoneon. This entry was posted in dance, butoh, movement, diary, events, improvisation and tagged Cafe Reason, dance, butoh, movement, improvisation, Pete McPhail. Bookmark the permalink.